Diversifying into new markets is paying off for a Redditch-based manufacturer that has secured more than £2m of additional sales. Thermex Ltd, which employs 40 people at its factory on North Moons Moat, is heading towards £6.5m turnover in 2017 after winning work to supply new technology to customers in marine and the off-highway vehicle sector. 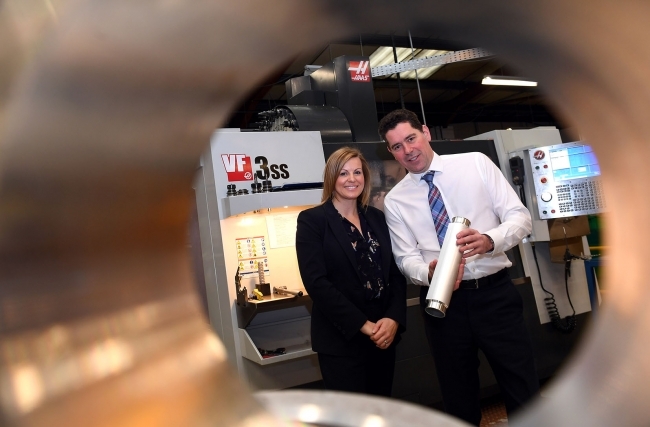 Supported by the Manufacturing Growth Programme (MGP), the company has developed high-performance shell and tube heat exchangers, as well as expanding their range to include air blast radiators, oil coolers and specialist brazed plate variants. It follows an extensive £1.3m investment programme that has seen the addition of new ovens, a tube expander and fin press. This allows Thermex to continue to diversify through the development of bespoke performance coolers for turbo charged engines used in marine and industrial applications. “We have enjoyed significant success in 2017 so far, but that is no accident. It’s something we have planned for in our business strategy and the recent expansion of our capabilities has given us the platform to launch new products and given us the capacity to take on additional work,” explained Julian Crossley, Managing Director at Thermex Ltd.
Thermex has also been focused on developing a Low Carbon Resource Efficiency strategy to reduce rising energy costs and to avoid the looming possibility of increasing available electrical supply capacity. The company turned to the Manufacturing Growth Programme to help it with initial planning, who then brought in Pro Enviro’s Nersi Salehi to oversee the implementation of the new processes. These focused on installation of new energy efficient ovens and gas powered heating and drying systems, as well as some good practice processes and greater awareness amongst the workforce of their responsibilities. Catherine Bray, Manufacturing Growth Manager at MGP, went on to add: “Thermex’s growth is great news, but it has prompted some issues around availability of energy supply… especially around the new press it has installed. The MGP, which is funded by the European Regional Development Fund (ERDF) and delivered by Economic Growth Solutions (EGS), is promising to fill the void left by the Manufacturing Advice Service (MAS) by providing access to specialist assistance to help manufacturers grow and improve. This is being achieved through a 19-strong network of experienced manufacturing growth managers, access to industry specialists and the opportunity to apply for grants of up to £3,500.